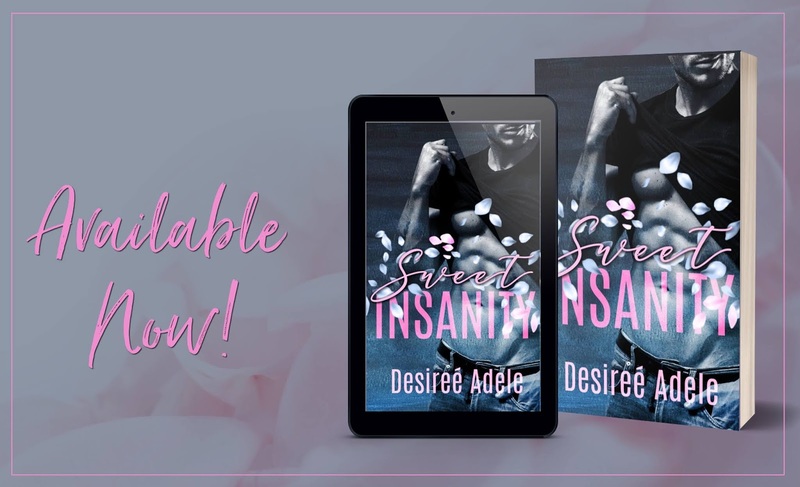 We're celebrating the release of SWEET INSANITY by Desireé Adele! Don't forget to one-click and add it to your TBR today! When a PR friend of mine asked me to Beta Read this book by a debut author, I couldn’t say no, I knew nothing about the author, knew nothing about the book and just went in blind. I find that the best way. 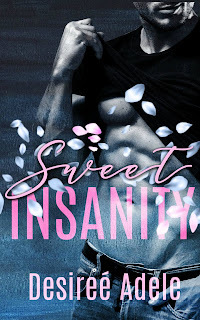 When I was reading it, it was truly shocking, to be honest, it was a mess, but underneath the jumbled words was a story that hit me hard, characters that I fell in love with and an authors voice that was an instant hit. I absolutely adored it. Despite everything, the potential this book had was exponential, I couldn’t believe it was a debut as the author had that air of confidence, the banter and dialogue were on point, and the emotion was there in spades. I gave my honest critique, suggested a few things and my parting words were ‘for a debut it was spectacular. ABSOLUTELY LOVED IT!! Even a seasoned author would have been proud of that.” Reading the final, polished, pretty version, my opinion hasn’t changed. The flow was perfect, this book moves along effortlessly, and the characters embed themselves into your heart and soul. 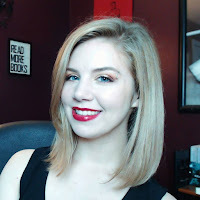 Character connection is so tough, many authors miss the brief, but Desiree Adele hit the nail on the head with not only her primaries but her secondaries too. Set in college, this sports-themed romance is so much more, with some great life lessons interspersed with a romance that will shred and affect every single heartstring. I loved Dahlia with a passion and Zack was book boyfriend material personified. Both these characters had their issues, and the author dealt with them all with sympathy, honesty and heartfelt emotion. There were no eye-rolls, no clichés just an honest romance that knocked me on my hopeless romantic arse. Dahlia has abandonment issues, and it is hard for her to put herself out there. Her life as a child was rough and tough, and like the brave, strong, woman she has turned out to be, she fought for everything. Her inner strength is admirable, but the hurt has left its scars, and they are her biggest demons. I loved the relationship she had with her adoptive father, Christos, he breathed life back into her and gave her that fierce determination that made her the woman she was today. Dahlia just needed to learn to love and trust, and Zack was the perfect man for the job. Zack was your typical ice hockey player, loved by all, looked up to and respected. The men wanted to be him, and the women wanted to bed him. Underneath the ice hockey persona though was a man with the hugest of hearts. Losing his mum was tough on him, but he loved his dad and brother with ferocity. Zach’s best friend, Keith, kept him on the straight and narrow and always had his back and the friendship that these two had would always stand the test of time. I adored both of them, and their banter was hilarious, but their closeness, like brothers radiated off every scene they were in. 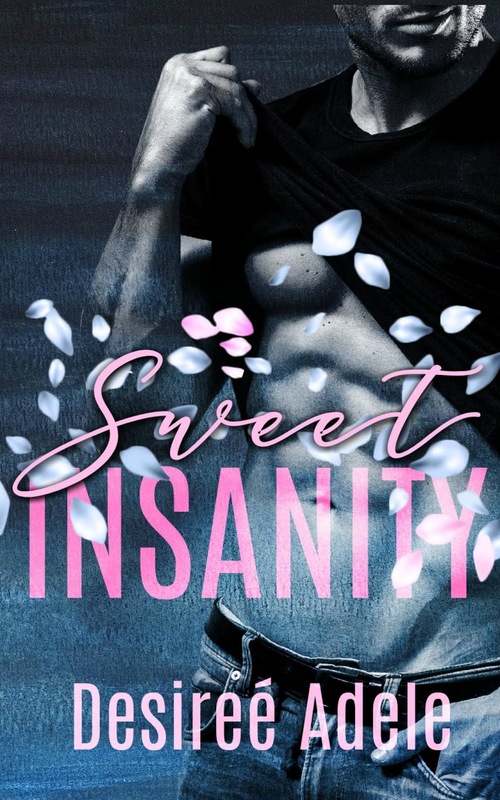 The chemistry between Zack and Dahlia was off the charts, it oozed off the pages, and that initial hate was a subtle mask for the undeniable attraction between these two. Dahlia knocked Zack on his arse literally and figuratively, and I was championing these two along the whole book. As I said above, this book was a spectacular debut, Desiree Adele is extremely talented, and if every book is like this one, she has a stellar career ahead of her. I for one cannot wait to see what comes next.